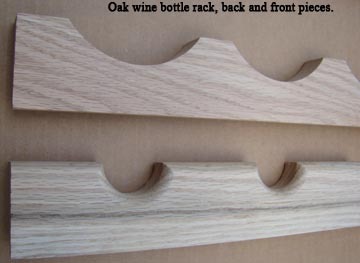 Wood bottle racks to hold your wine bottles on their sides. Can be mounted in tiers for greater storage. 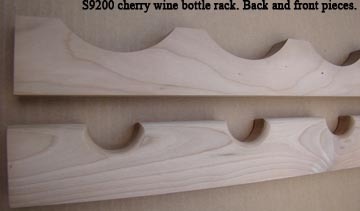 Wine bottle racks sold as a kit - front and back piece. 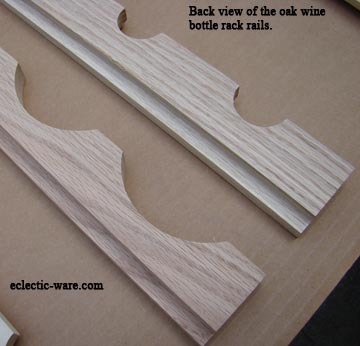 Front piece has smaller arcs cut in it to hold neck of bottle and tip it lower toward cork end. Fine sanded and ready to finish. Both front and back pieces can be cut to length. Can be stacked and used in tiers. Should be mounted in firm cabinets. 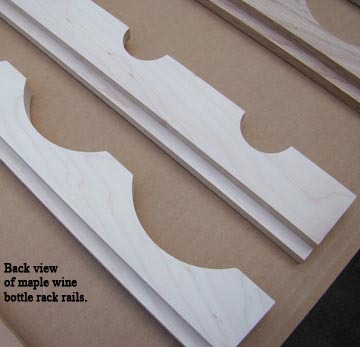 Can be used with other Omega-National wood products as it is shown to left with valance above it. 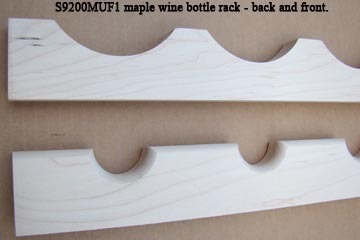 Maple, Oak, and Cherry wine bottle racks ARE STOCKED and can ship right away. 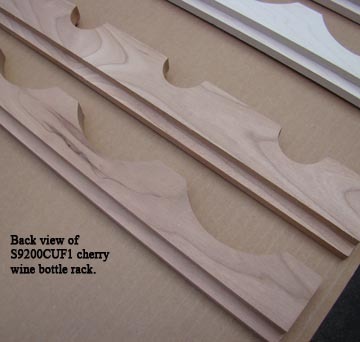 Money saving tip: depending upon the width of your cabinet, if it is 23" or less in interior width, one kit can get you two tiers like shown in the color photo above.